1 Percent Lists was created by Grant and Kelly Clayton and began doing business late in 2015. The idea behind the real estate brokerage came to life a few years earlier. We had been taught the old real estate model of charge 6%, hold an open house, put the home in the MLS run an ad in the news paper and hope it sells. But over time the open houses drew less of a crowd. The news papers changed from something we had to pay for to something we were given for free everyday and no longer wanted. The old ways of marketing homes were slowly dying off and we knew it. How we market products and how we communicate was rapidly changing. With the growth of the internet, smartphones and digital marketing platforms it became quickly apparent that everyone was learning how to do much more marketing for much less money. It didn’t matter what you were shopping for; everyone was racing to be more efficient and more cost effective on the web. As Realtors we noticed these changes but also took note that somehow real estate never seemed to change. Meanwhile Grant and Kelly Clayton, the founders of the company, had built a growing real estate business by offering a lower cost solution for home builders as early as 2012. The steady new construction listings created by this “builder discount” made networking with home buyers a lot easier which led to more listings and a growing client base for Grant and Kelly. While the profits for new construction sales were not huge, the growing client base made the discount not just worthwhile but the cornerstone of their growth in the local real estate market. Right around this time Amazon, Netflix, and other huge companies were acting as a hugely disruptive force in the areas of retail and entertainment. Their business models are extremely similar despite filling different needs. They seek to be very low cost, very low operative expenses, and high customer satisfaction. Other companies followed suit throughout all forms of commerce and entertainment. It didn’t matter what service you needed or what product you wanted to purchase people were fighting to sell it to you faster, cheaper, and with a higher level of customer satisfaction. That is unless you needed real estate services. Realizing this the decision was made in late 2015 to offer a low cost solution to the general public and not make commission savings exclusive to only local builders. After countless hours spent examining real estate brokerage models, marketing and other costs, the idea was formed to list homes for only 1%. Although there is no "set percentage", 1% is about 1/3rd of the traditional listing fee. We knew we could offer a high level of customer service and marketing for about 1/3rd of the typical Realtor listing fees as long as we focused on those same principles as the other successful companies mentioned earlier, but this time a disruptive change in real estate. We had to increase our sales volume, but more importantly we had to retain a high level of customer satisfaction. With those goals in mind 1 Percent Lists was formed. Quickly growing, 1 Percent Lists not only is now supporting home buyers and saving sellers thousands of dollars across Louisiana. Follow the below links to see all of the homes for sale in each respective community. Grant Clayton has been a Realtor since 2011 and is a 2nd generation real estate professional. The Clayton family business is commercial real estate development which has been in operation since the mid 1970’s and has completed many monumental projects in and around the city of New Orleans. He has an extensive background in the designing and selling of new construction homes and is very familiar with the complex steps of home construction from contract to close. Grant received his Bachelors degree from Nicholls State University In Political Science and Criminal Justice in 2004 and was a substitute teacher and basketball coach before pursing a career in real estate. 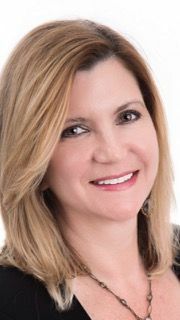 Kelly has been a Realtor since 2011 and is the real estate broker of record for 1 Percent Lists. She received her Bachelors Degree from Our Lady of Holy Cross Collage in New Orleans after serving in the US Navy. She is a retired veteran utilizing the discipline and organizational skills the military taught her so she can diligently work to keep properties moving from Point A to Point B, listing to close. While also maintaining meticulous records for each of our clients. Both Grant and Kelly live in Covington and are full time Realtors and proud parents of William and Emily. Sandra is a life long resident of southeast LA. She worked in new home sales for 20 years fo 2 of the biggest builders in the area. She recently stepped out of that role so she can focus on helping more people with the 1% lists way. She is very excited to help as many people as she can save money and also to help them with her 20 years of real estate experience. After career in Fine Dining and Wine and following the birth of his son Max in 2013 Nate decided to peruse a career in Real Estate. Since day one Nate has excelled because of his love of working with people, his creative problem solving skills and educating his clients. Even though focused on listing and selling homes Nate has a special interest in Veteran and Armed Forces Clients as well as First Time Home Buyers. 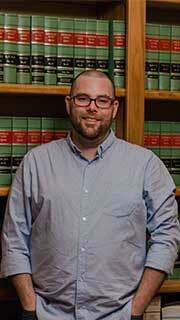 Nate specializes in Residential Real Estate in the Greater New Orleans Area. Serving Orleans, Jefferson, St Tammany & Tangipahoa Parishes. Nate moved to New Orleans immediately after Hurricane Katrina. He is a graduate of The University Of Southern Mississippi where he studied History with an emphasis on Military History.